A nice selection of high quality, reasonably priced, fresh, wild-caught Hawaiian fish such as Opaka Paka, Ono, Mahi Mahi, Marlin, not to mention Sashimi grade Ahi! Selection depends on the season. As of late 2012, gas at their brand new station was at least 30 cents cheaper per gallon than at most other places. 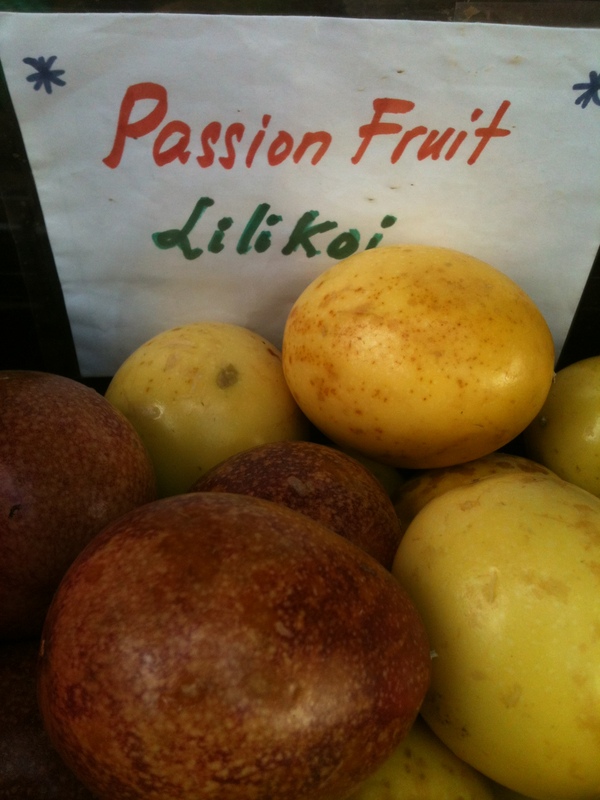 There is a large section of Hawaiian made items you can take home as gifts. Aloha shirts are only $20! A HUGE supply of beach towels, snorkel gear, beach chairs, umbrellas, etc. NOTE: you won’t need these things if you stay at our condo, Maui Vista 2418. 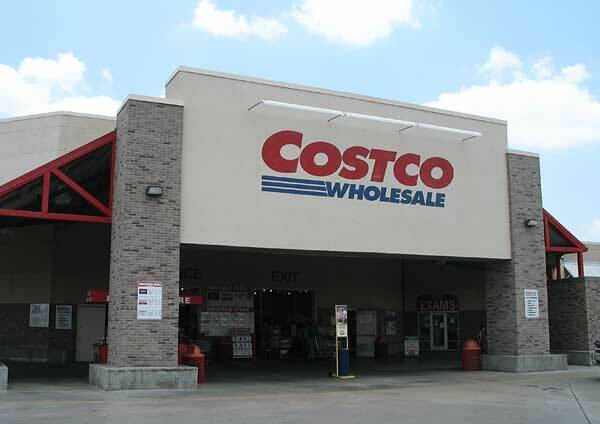 We supply all that as well as detergents, cleaning supplies, and paper products from, you guessed it, Costco! 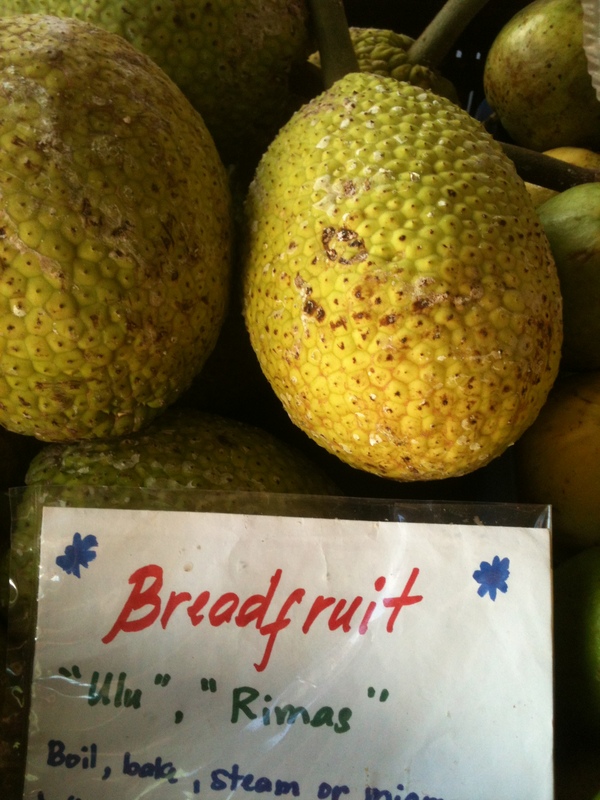 A word to those that love fresh local produce: Costco carries a few local items, but see our post Rowena’s Farmers Market is No Ka Oi (The best!). 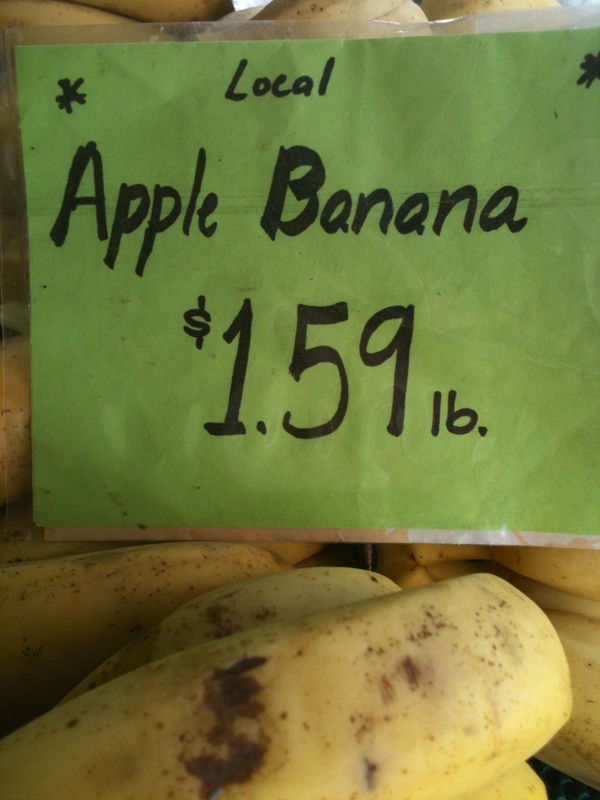 You can’t do any better than Rowena’s in our opinion. Otherwise, Costco is well worth a stop. 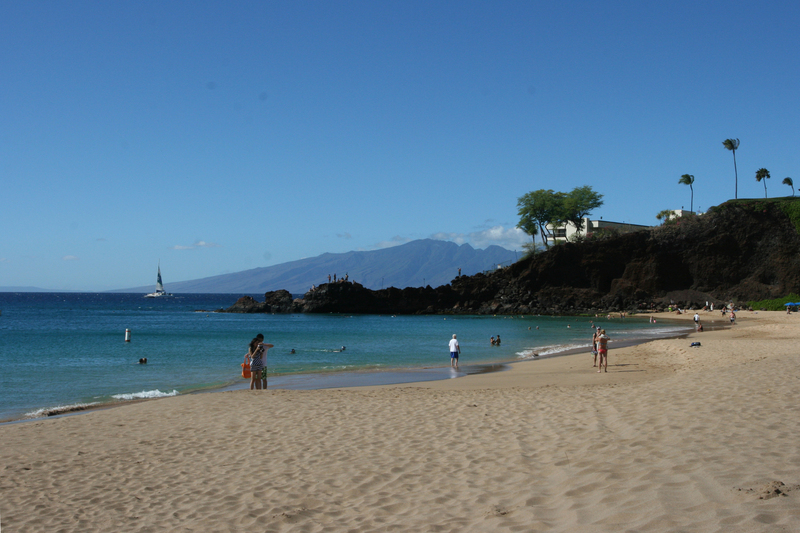 Where’s the best place to rent a car on Maui? At Maui Vista 2418 we’re often asked, “Where’s the best place to rent a car?” The answer depends on your needs. If you want a shiny new car and the convenience of renting directly from the airport, we highly recommend going through Costco’s website. If you’re not already a member, the savings will probably cover the cost of your membership and then you can shop at Costco when you pass it on your way to our condo! (You can join Costco on line at www.costco.com .) Although renting from the airport is convenient, it costs more because the airport tax is added to the price and, after all, convenience costs money. Alternatively, you might consider a local vendor with airport shuttle service. 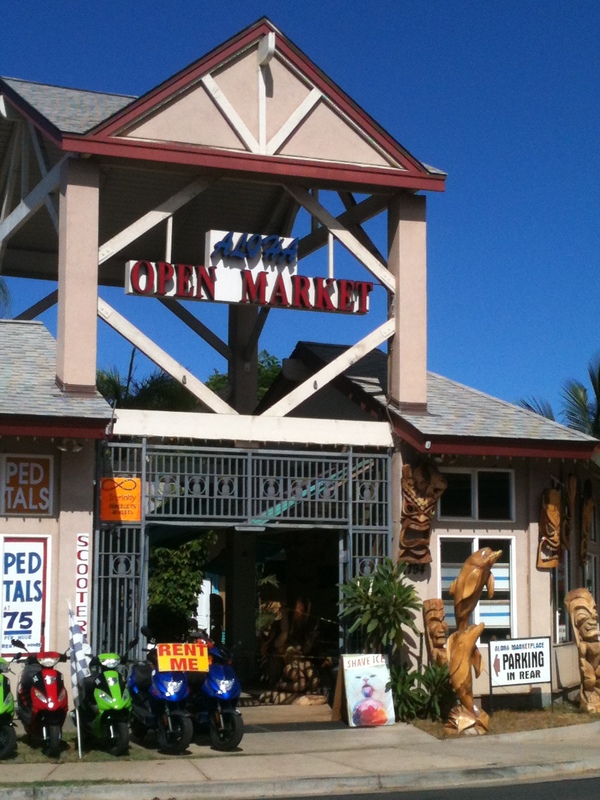 Kihei Rent A Car is a locally owned company with airport service. http://www.kiheirentacar.com/index.html Book early because this business is popular among those in the know and they do run out of cars. Regardless of where you rent your car, if you’re a Costco member and in the area, buy gas at Costco. As of late 2012, it was thirty to forty cents per gallon cheaper than most other gas stations. That’s a savings of $5 to $7 per tank! 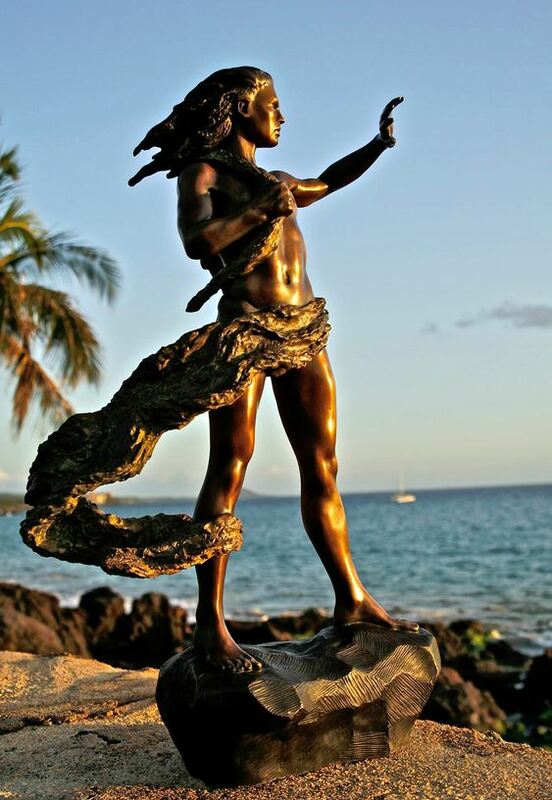 Every Wednesday evening Maui artist (and Maui Vista neighbor) Dale Zarrella gives a free guided tour of his sculptures at the Makena Beach and Golf Resort (formerly the Maui Prince Hotel). Not only do you get art and entertainment, Zarrella brings home-made chocolates shaped like little turtles. You can’t go wrong. Check with the resort to confirm dates and times. 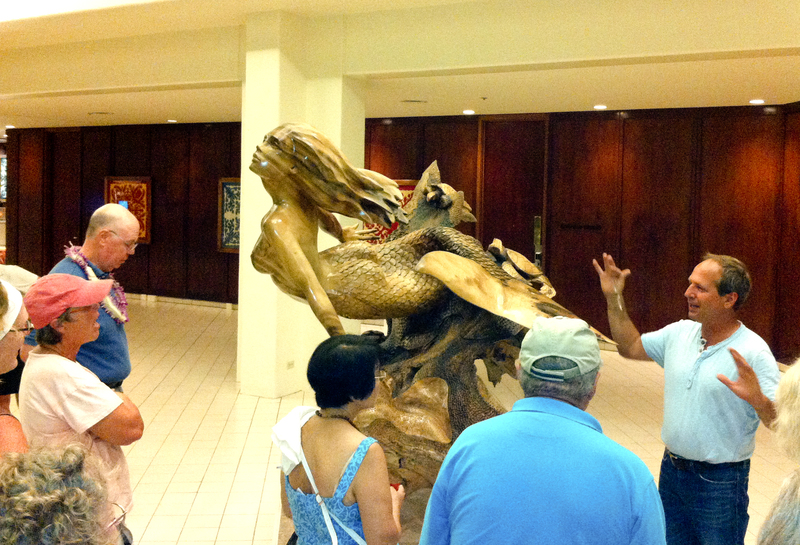 Zarrella has four major works on display at the resort – two in the lobby and two in the restaurant downstairs. 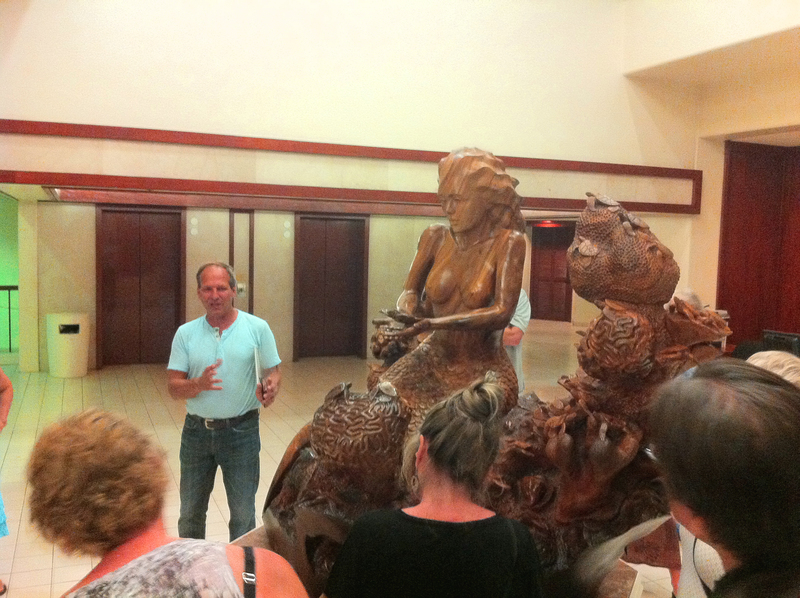 The two sculptures in the lobby are from Zarrella’s mermaid series: Mermaid Dream and Ka’ikehohonu (also known as 110 Turtles). 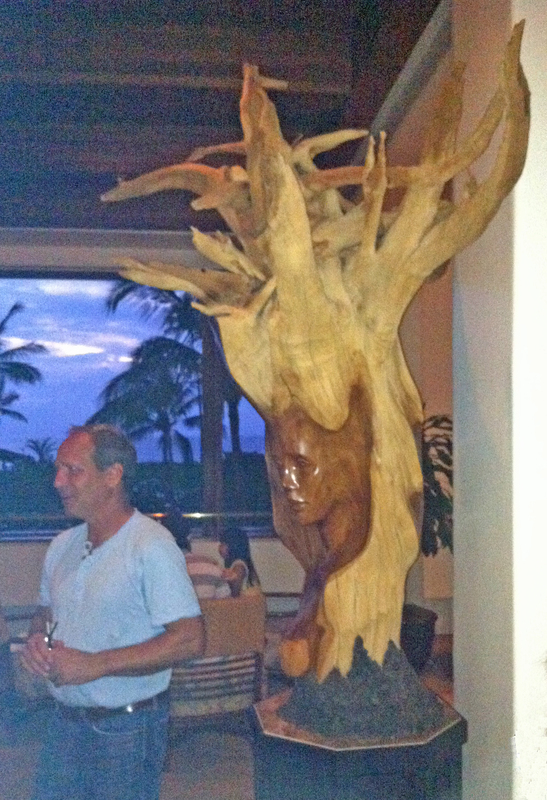 Mermaid Dream began as a 3,000 pound Rain Shower tree root from which Zarrella removed 2,000 pounds of wood to reveal the mermaid. See Zarrella’s website (http://dalezarrella.com/) for a series of pictures on the making of this, and other, works. The final piece of Zarrella’s work shows the bust and face of a woman emerging from a tree. The upside down stump turns the roots of the tree into wild hair blowing upward by the wind. 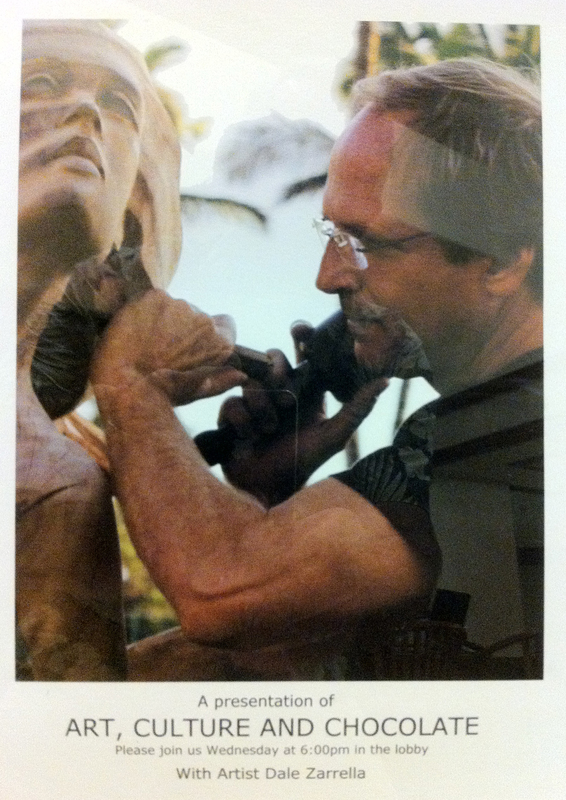 During the talk, Zarrella said the wood for this piece was found on Oprah’s Hana ranch while he was horse backing riding with some paniolo (Hawaiian cowboy) friends of his. The wind was up, the paddle boarders down – stranded on Charley Young Beach a half mile from Maui Wave Riders where they’d rented their boards. Gotta get back. What to do? Looks like he’s going their way! “Rainbow Rentals – Service is Our #1 Priority.” I wonder if that’s what the boss had in mind. Thank you Rainbow Rentals! 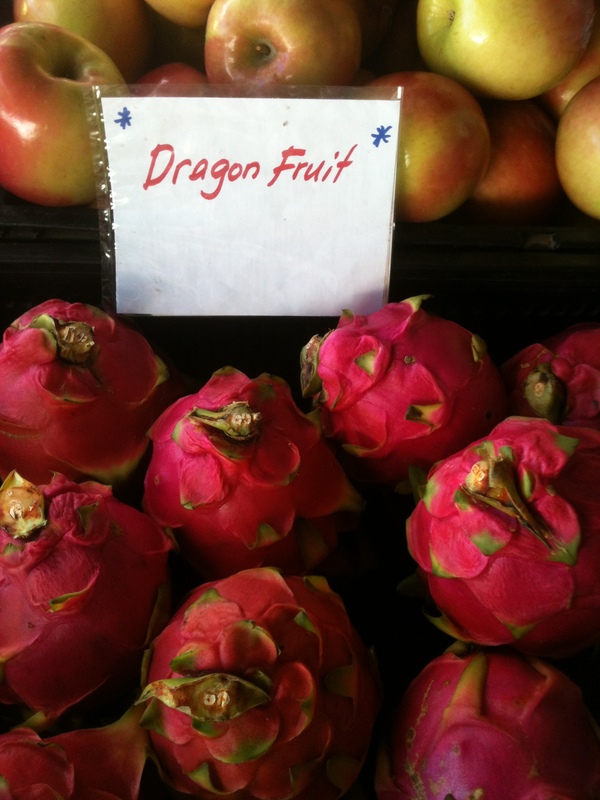 This is SO Maui (well, maybe not Wailea, Kaanapali or Kapalua – but definitely Kihei). POST NOTE: Our neighbor reported she saw the truck going up the road and the ladies were waving to people as if they were on a beauty pagent float! 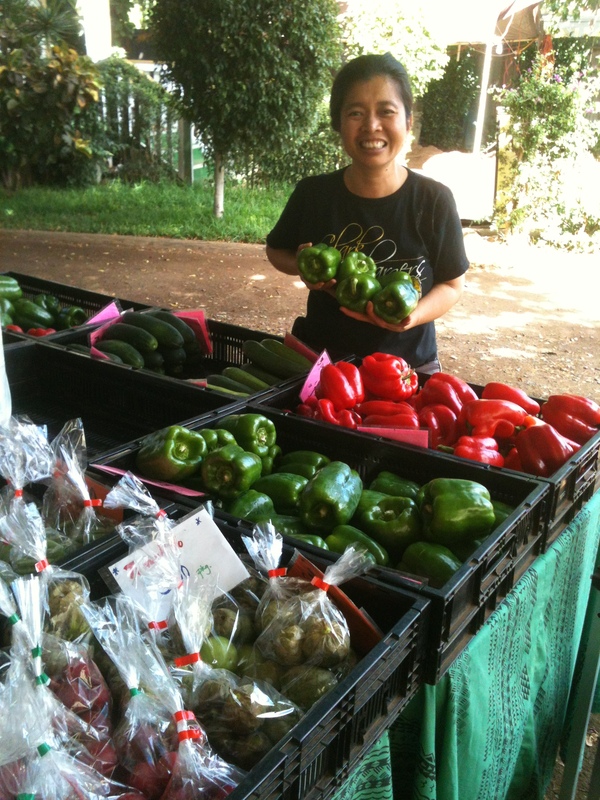 Rowena is located about a 12 minute walk from Maui Vista 2418 just north of Foodland in the Aloha Open Market on Wednesdays and Saturdays. Whether you’re looking for locally grown shitaki mushrooms or tender butter lettuce (at half the price in the grocery store), you’ll want to get there early (she opens at 7) because it can get elbow to elbow in the afternoon and the best things are gone. 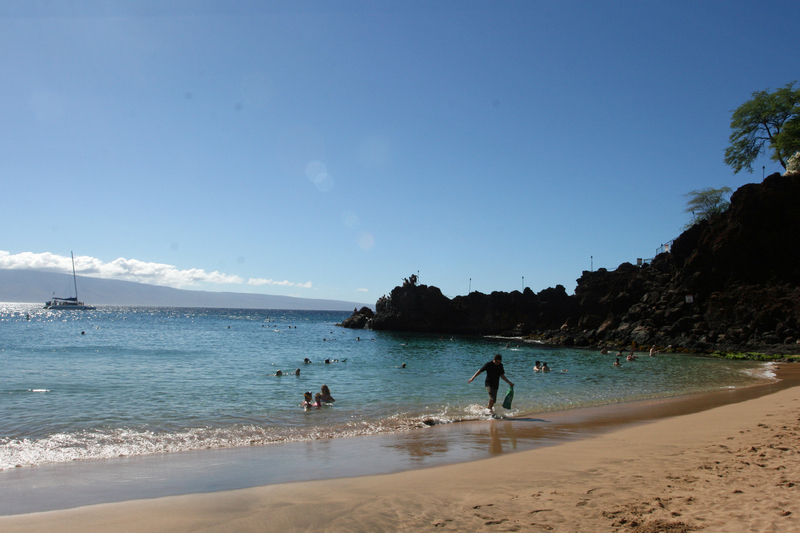 In front of the Sheraton Maui at Ka’anapoli is Black Rock, a popular and easy snorkel. Ka’anapoli Beach is a large and fabulous stretch of white sand that can be very busy in the high season when the big hotels are full. It’s worth a visit all by itself. If the waves are calm, you can snorkel out and around the point. Strong swimmers can even snorkel north to the next beach. The best viewing, however, is on the south side and at the end of the point. There’s not much coral and, for that matter, not a lot of fish. But we’ve seen green sea turtles near the shore and multiple spotted rays at the point in beautifully clear deep water. To get to Black Rock, take the first entrance into Ka’anapoli and continue circling to the right. Look for the small sign for Beach Access after you pass Whaler’s Village. There are two small free parking areas. The Sheraton has 20 spaces in a corner of their parking garage. Just to the south there are 10 or so outdoor parking spaces that can be reached via the next driveway to the south. Getting a parking space can be a challenge. Go early or late or around lunch when people are leaving.